Bicycle commuting is the embodiment of everything we love about cycling. It is environmentally responsible, provides good exercise, boosts your mood, is affordable, and reduces congestion. Unfortunately, there are far fewer female cyclists than there are men. There are many reasons for this–risk tolerance, child-care, etc. Another reason is that women are often marginalized in the sport. It can be uncomfortable walking into a bike shop with a bunch of men salespeople, and a bunch of bikes marketed to men. For that reason, we’ve created a list of our favorite commuter bikes for women, as well as a list of things to consider when choosing a bicycle for commuting. So you can be empowered. Of course, the best commuter bike is quite possibly the bike you already have. The beauty of commuter bikes is that they don’t have to be fancy. In fact, not fancy is often best. An old bike can be abused without remorse–ridden in snow and salt, and left outside. An not-so-fancy bike can also be locked outside without fear of theft, or if it does get stolen, the consequence isn’t quite so high. For tips on upgrading the bike laying around in your garage to make it a real “commuter,” read our Guide to Bike Commuting. All that said, if you are still in the market for a new commuter bike, here are our favorites. Whether you are looking for a simple steed to ride to work, a family bike to haul the kids to daycare, or an e-assist commuter to make it up big hills and travel long distances, you’ll find a good option for yourself here. 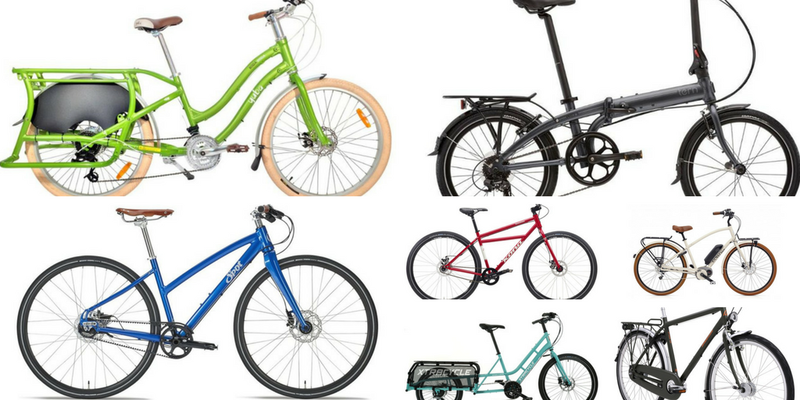 Note, that these aren’t all “women’s bikes.” We’ve picked bikes that work well for women, regardless of marketing gimics. Our favorite commuter bikes are simple, easily maintained, and not too expensive. This is an affordable commuter that hasn’t skimped on anything important. 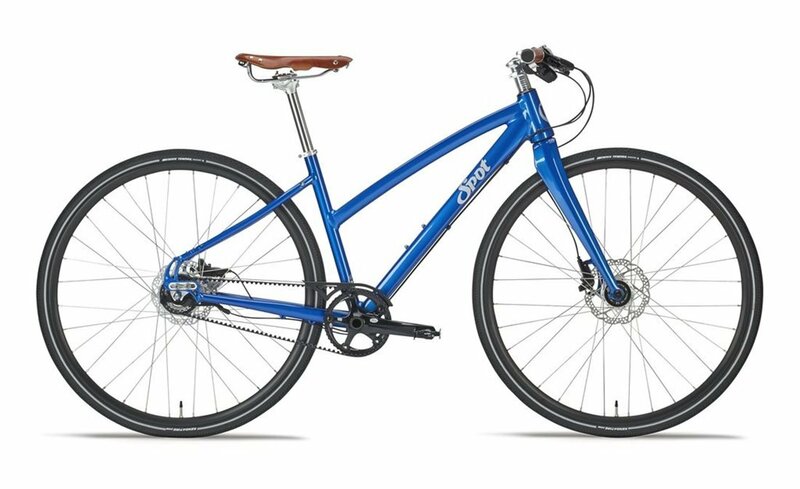 It has disc brakes for easy stopping in wet conditions, nice fat Schwalbe Big Apple tires, and rack and fender mounts. One thing to note is that it is a single-speed which is great for maintenance, but not so great if you live in a city with hills. The Spot Acme is not only functional it is beautiful. Every component is top-shelf and has been thoughtfully picked. 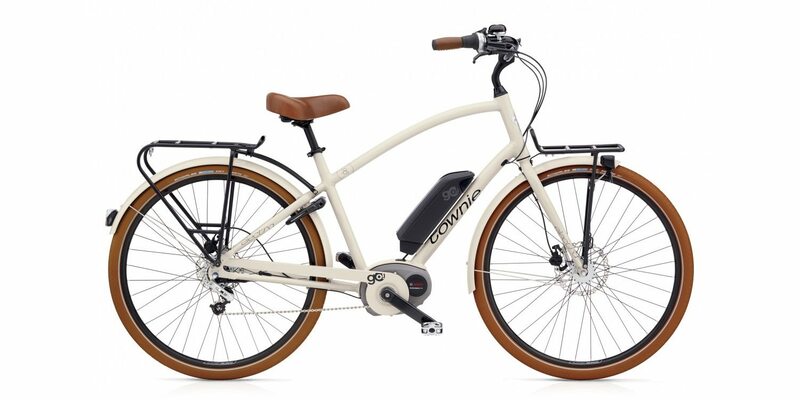 The bike sports a belt drive system, which is virtually maintenance free and continues running well even when riding in poor weather conditions. The build includes Ergon grips, 11-speed internally geared hub, hydraulic disc brakes, and a leather saddle. 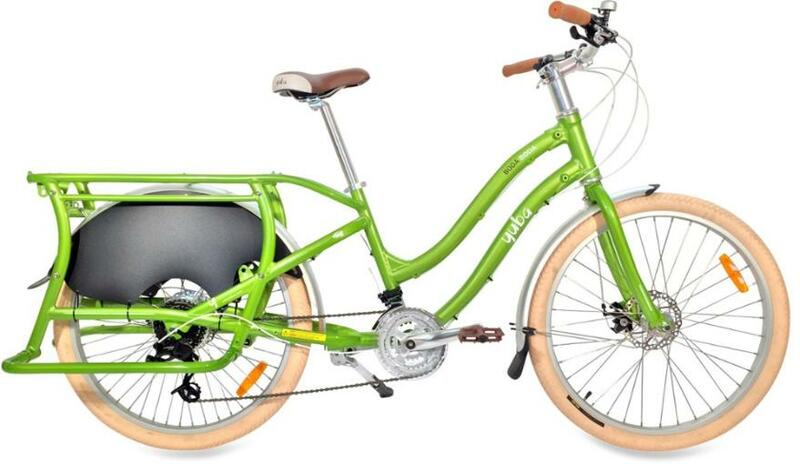 We also appreciate that it has a sloped top-tube which makes it easy to ride even with a skirt on. It’s not the cheapest bike on this list, but for what you get, it is a great value. The Breezer Uptown is everything you need straight out of the box. It comes standard with rear rack, fenders, headlight, taillight, and bell. It also has an 8-speed drivetrain so that you can navigate hills. The nice wide tires can navigate city streets or gravel canal paths. 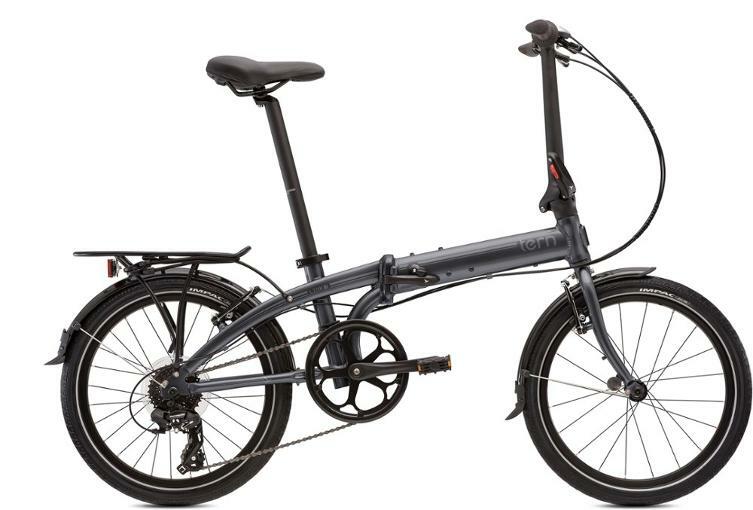 If you plan on using multi-modal transportation (think bike & bus or bike & train), a folding bike is the way to go. The Tern Link folds up so that it can be brought into your cubicle or in your luggage for your next business trip. The bike comes with fenders and a rear rack. As their name would suggest, cargo bikes are intended for carrying cargo (or kids!). Whether you need to haul home groceries or pick up kids from swim lessons, a cargo bike can make life much easier. The Yuba Mundo is a simple, yet capable, long-tail cargo bike. The V7 has 7 gears to enable both hills and flats. The rear rack can handle passengers or packages, either of which will be protected from the rear wheel thanks to the integrated wheel skirts. Finally, it’s super affordable, making it a great introduction to the world of cargo bikes. This is another Yuba, but we liked their bikes too much not to include another. The Boda Boda Step-Thru is ideal for ladies (like me!) who like to wear skirts. It also has Tetkro mechanic disc brakes for plenty of stopping power. 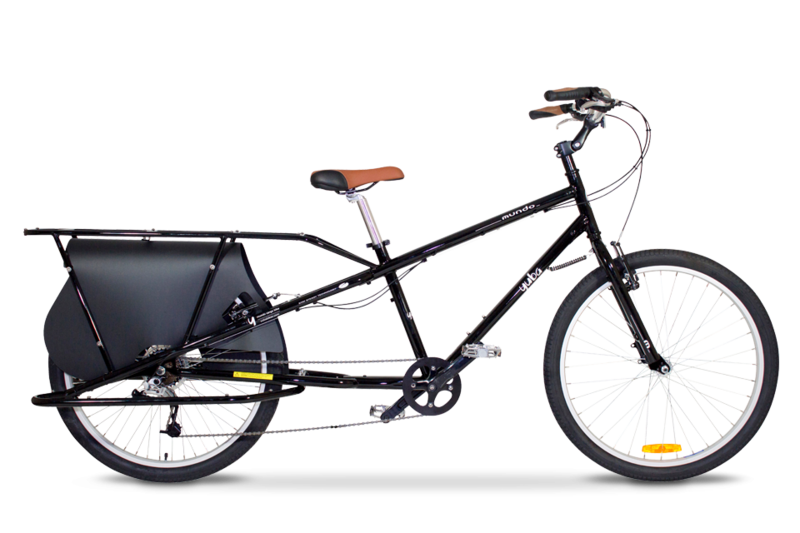 Xtracycle is the leader in long-tail cargo bikes, and the EdgeRunner Swoop is their model for shorter riders. The low step-over makes it ideal for ladies. 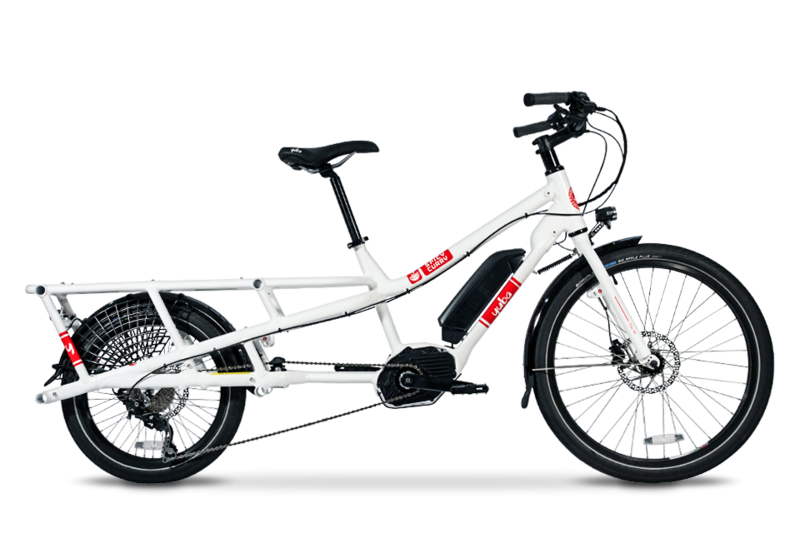 It’s super stable even with a heavy load, has hydraulic disc brakes, and durable steel frame. While we’re not always big proponents of e-bikes, we do support the use of an electric assist for commuting — particularly when going long distances and carrying heavy loads. If you’re replacing a car with a bike, consider one of these options. If you want to look stylish while riding around town, this is your bike. The aluminum frame is painted in pretty pastel hues, and the bike has both front and rear racks for carrying gear. The Bosch 250W motor can last between 20-100 miles before needing to be recharged and helps riders pedal up to 20mph. The Yuba Spicy Curry is an electronic assist cargo bike, making it the SUV of bicycles. 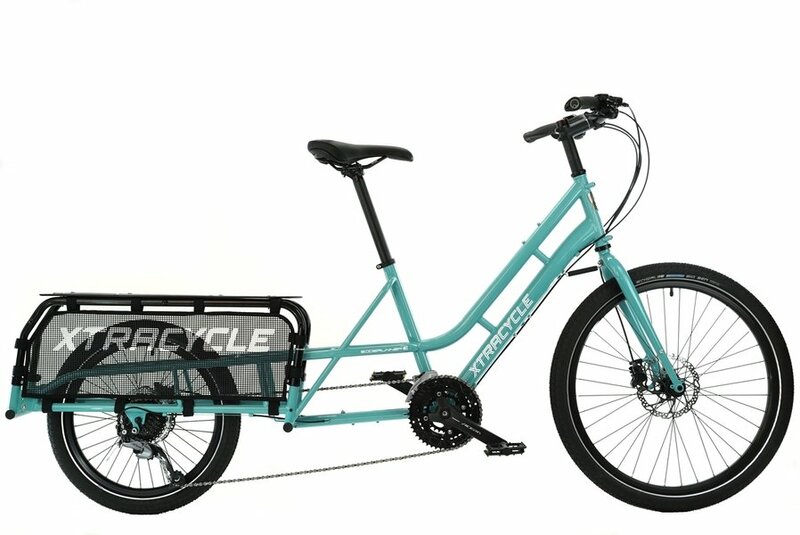 Perfect for folks who have chosen to forgo a car (or who are trying to use a car less often), the bike is capable of hauling up to 300 pounds. It also comes with all the extras–wheelskirts/fenders, bell, kickstand, and LED light. Here’s how all these bikes stack up. There are a couple things to consider before pulling out the credit card. Here are some tips on how to choose the best commuter bike for you. In general, the best tires for a commuter bike have plenty of tread, are decently wide, but still roll quickly. Think a cross between a road bike and mountain bike tire. This ensures that they will perform well in a variety of conditions, wet weather, etc. It also gives you the flexibility to roll on gravel paths (like rail trails), which are often some of the best commuting routes. Extras–Lights, Fenders, Bells, Racks, etc. Commuter bikes are most useful when they are accessorized. A rear rack allows you to carry gear (like your laptop and a change of clothes for instance). Fenders help keep you dry on rainy days. Many commuter bikes come with these things, some do not. It is worth paying attention to what the bike comes with stock and how much it will cost to upgrade with any items you might need. If you don’t mind a little DIY work, it can be most cost effective to add all the “extras” after the fact. If you want a bike that can do it all on Day 1, look for a bike that comes with the full package. 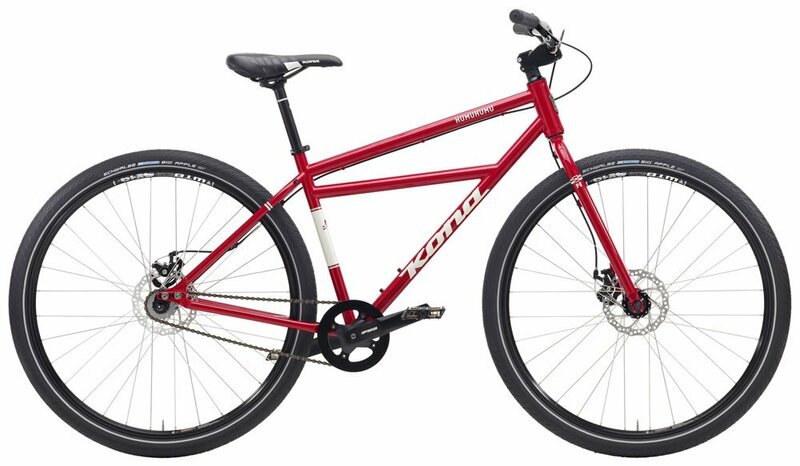 The bikes on this list come with three different and distinct types of brakes –rim brakes, mechanical disc brakes, and hydraulic disc brakes. V-brakes are the cheapest and the simplest to maintain, but do not stop as well, particularly in wet conditions. Mechanical disc brakes are the mid-price option. They perform better than rim brakes but not as well as hydraulic disc brakes. Hydraulic disc brakes have the most stopping power, and provide the best modulation. They also have the highest price tag and require the most maintenance. Generally, the best commuter bikes have a moderate riding position–not too upright, not too aggressive. This makes for the best mix of power transfer to the pedals, comfort, and maneuverability. If you are biking long distances, and enjoy riding fast, you might consider a more leaned-over, aggressive riding position. 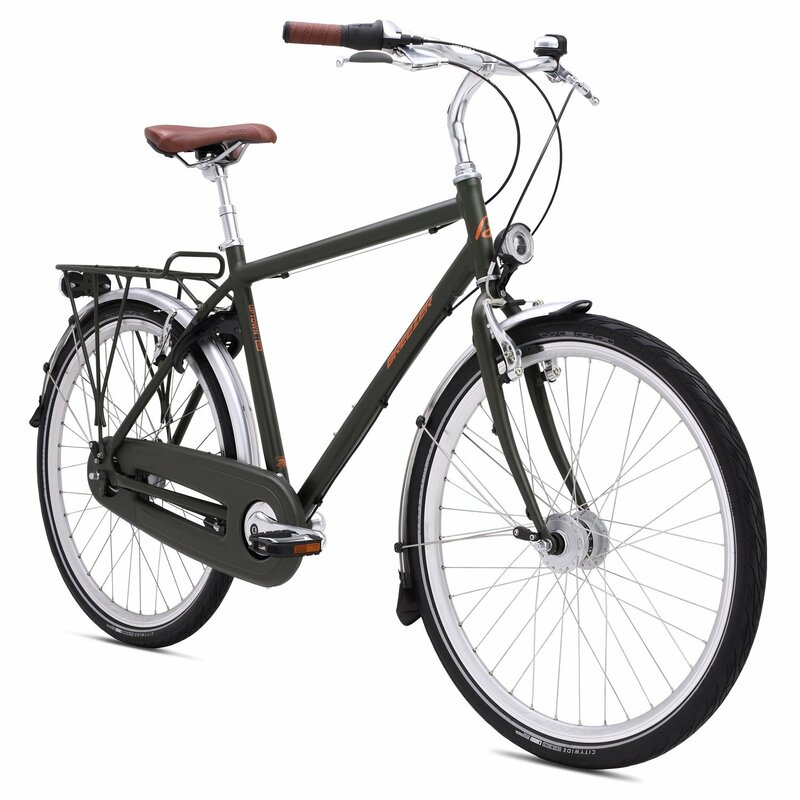 Alternatively, if you are planning only biking short distances, a fully upright, beach cruiser might be your thing. For everybody else, pick something in the middle. 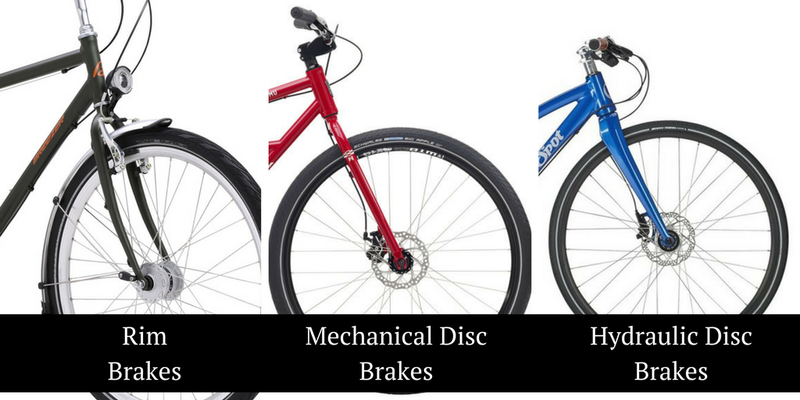 Commuter bikes come with several types of drivetrains and gear configurations. Some commuter bikes, are singlespeeds, meaning they have only one gear. This is nice for keeping maintenance to a minimum, but isn’t recommended for folks who live in cities with hills. More commonly, you will see bikes with an external drivetrain. The bike might have anywhere from a few gears to 21+. Much better for hills, but be prepared to do some maintenance. Other less common builds are bikes with internally-geared hubs and belt drives. 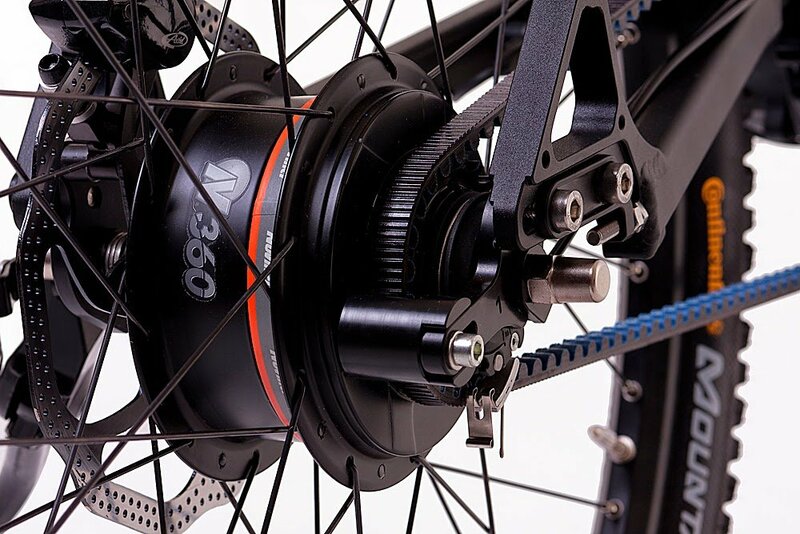 An internally geared hub is ideal for many commuters. Instead of an internal drivetrain (with front and rear derailleurs), the gearing is inside the hub of the gear wheel. This is particularly nice for folks who ride in a lot of inclement weather–it won’t get bucked up with slush or grime. Similarly, a belt drive is nice for these types of riding conditions. A belt drive is a carbon-fiber belt that takes the place of a chain. It doesn’t require lubrication or other maintenance and remains quite even in mud and rain. One thing to decide before shopping for a commuter, is what style of frame you would like: a traditional frame or a step-thru frame. Step-thru frames are often good choices for women because they accommodate shorter riders and make it easier to ride with a skirt. Unless you are buying a bike with an electronic assist, make sure you take the weight of the bike into consideration. The heavier a bike is, the less enjoyable it will be to ride, particularly for folks commuting long distances.